Use this Regal prairie style buffalo wing seasoning to prepare delicious wings in your restaurant, bar, or pub. 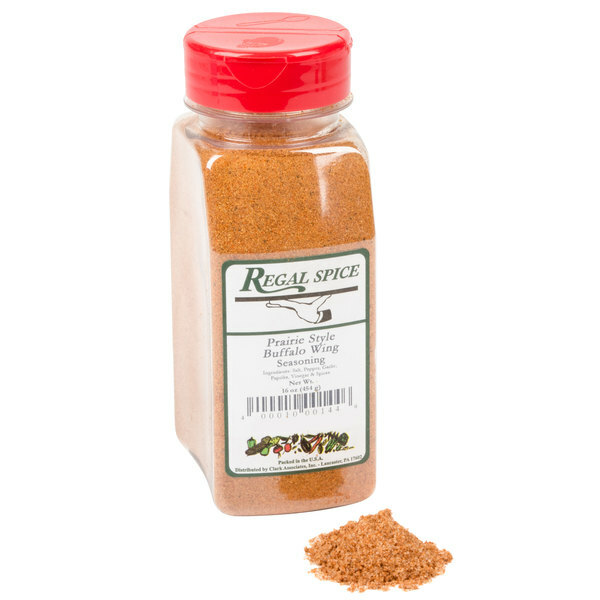 If you operate any type of foodservice establishment that offers wings on the menu, then this Regal prairie style buffalo seasoning is a great addition to your spice cabinet. Whether you’re looking to flavor your chicken wings or other meats, this seasoning is sure to give your foods a unique and delicious flavor. Additionally, thanks to the 16 oz. container’s convenient cap, cooks can either sprinkle or measure out the proper amount of this spice their recipes call for. "I marinated chicken with this prairie buffalo wing seasoning and the results were delicious. The prize is great and the amount goes a long way." Since this prairie style buffalo wing seasoning is pre-blended, you don’t have to mix ingredients together yourself. Simply use this spice to coat your chicken wings before frying or baking them. Also, this ingredient gives your wings a bright red-orange color. 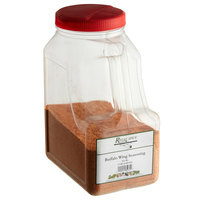 Regal prairie style buffalo wing seasoning is commonly used on chicken wings. It can also be mixed in with barbecue sauce to make a dip for your wings. This prairie style buffalo wing seasoning features a proportionate combination of salt, pepper, garlic, paprika, vinegar, and spices, adding a bold and zesty flavor to your foods. 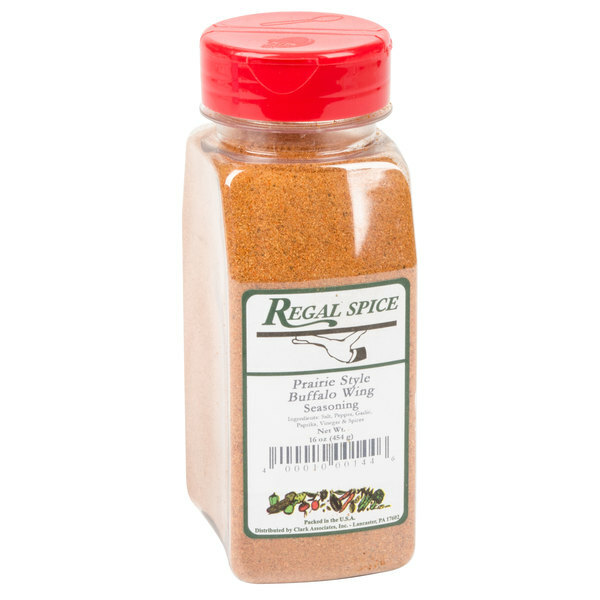 Item #: 10207566 Regal Prairie Style Buffalo Wing Seasoning - 16 oz. 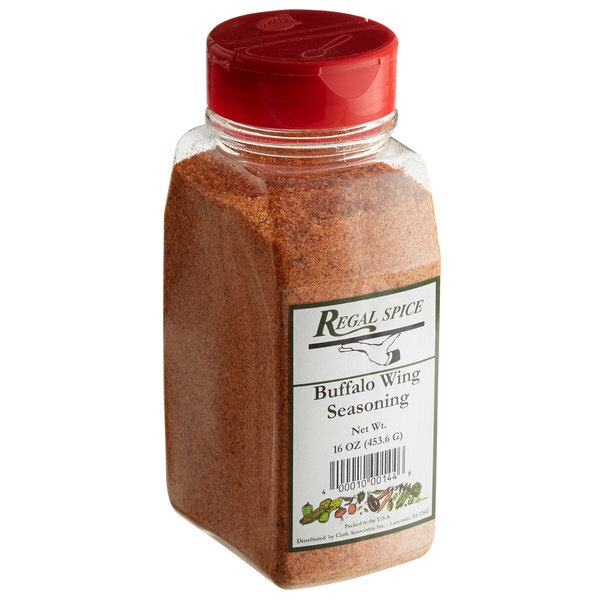 Item #: 10207565 Regal Prairie Style Buffalo Wing Seasoning - 5 lb. 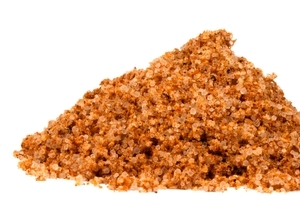 Regal Cajun Spice & Skillet Seasoning - 10 oz. 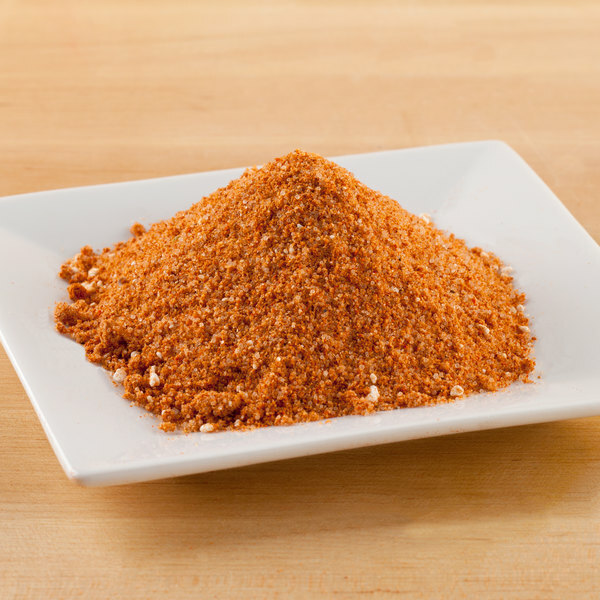 Regal Sweet Meat Rib Rub - 16 oz. Overall User Rating: Regal Prairie Style Buffalo Wing Seasoning - 16 oz. I use them exactly for hot wings and they always come fried perfectly. 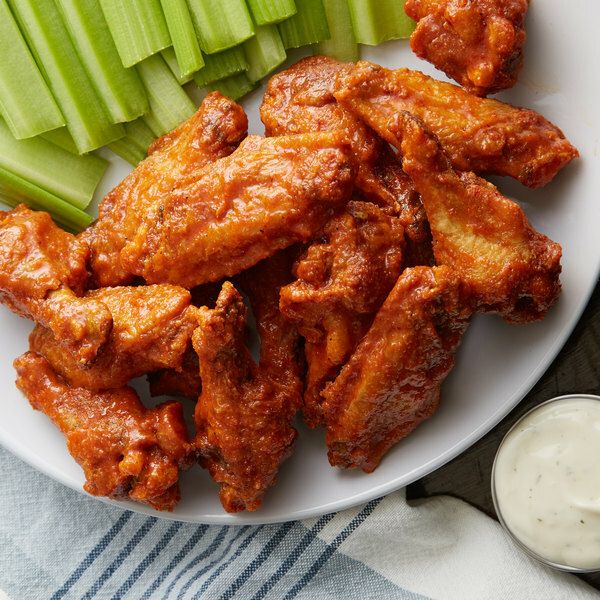 The red orange color of the seasoning makes it easy to know when you have added enough seasoning to your wings. We actually really like this it's a fun seasoning that you can use on various things. We use it on popcorn french fries and other basic items. I guess you could use it as a dry rub on wings but I don't think the flavor would be quite right. I like Regal seasonings but this wing seasoning is very salty. Flavorful, but not spicy enough for buffalo wings in my opinion, and just so salty. I think I would probably make my own rub in future. Nice kick to my wings. 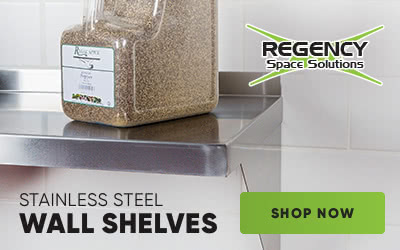 i am never disappointed with Regal seasonings. Quality above everything and value for your money. No one can compare or even come close. I never knew buffalo wing seasoning existed. I love this dish so I decided to give it a try. It added a lot of flavor that I never knew was missing. I put this on some chicken wings before I put them in the smoker. They came out delicious and full of flavor from this seasoning. A must try for anyone. As a barbecue caterer, I will tell you that this rub is by far the best thing I've found for smoked wings and whole or half chickens... I could spend time mixing my own from scratch and this would probably still be better !!! 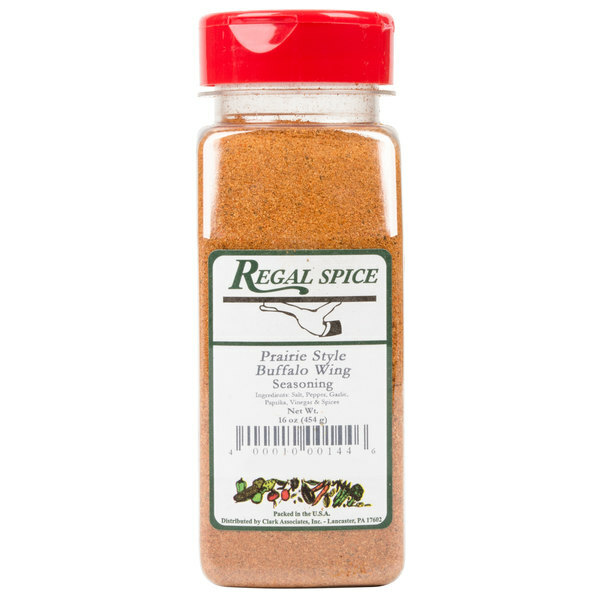 This Regal prairie style wing seasoning is great on the whole chicken. LOL. We sprinkled a generous amount one a whole chicken and smoked it and it was delicious. I will be buying more. 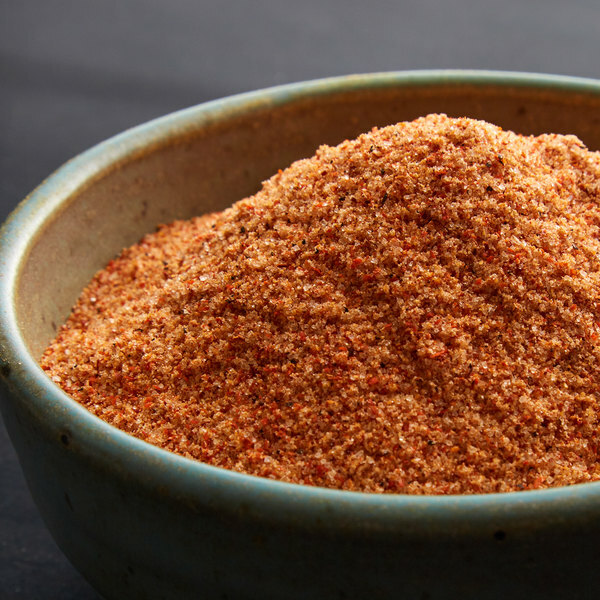 This rub has just the right amount of heat, but its not too spicy. In terms of its taste, it works well with wing sauce and as a rub for grilled breasts. The regal prairie style buffalo wing seasoning is a great product. I completely recommend this blend to anyone who is looking for a good dry spice. This makes making wing sauce fast and easy. I used to blend everything in house but I could not tell a difference between that and this product. Amazing seasoning. I wasn’t sure what to expect with this sixteen ounce Regal Prairie Style Buffalo Wing seasoning but I have to say it is quite delicious. I appreciate that the spiciness in subtly and there is not a yikes-this-is too-spicy moment. We used it for good old fashioned chicken wings and I would order again after only a few uses. I put this rub on EVERYTHING, it is very good. I like the smoky taste to it. You can not go wrong with this rub. Have to say that I love this blend. Just the right amount of heat (not too overpowering/not too weak) with a hint of subtle sweetness. Great deal too. We have customers ask all the time for spicy breadsticks. Regal buffalo wing seasoning makes a great addition to any bread stick and goes perfectly with white chicken chili!